Improvements in China, North America and in its infant nutrition business last year helped the maker of KitKat chocolate bars and Nescafe coffee to break a run of sluggish growth linked to consumers' preference for fresh food. It forecast sales improvements of more than 3 percent in 2019. Chief Executive Mark Schneider said portfolio changes could well exceed the figure of 10 percent of group sales he guided toward in September 2017. Nestle put its Herta processed meats business on the block on Thursday, accelerating the world biggest food group's revamp as it reported an uptick in sales growth in 2018 for the first time since 2011. "That was just an indication to show that we are serious about this. It doesn't mean we'll stop when we get there," he told reporters at the company's headquarters in Vevey on Lake Geneva on Thursday. "We are satisfied with the results we present today, but we still have ambitious targets. There's no reason to lean back." Activist investor Daniel Loeb's fund Third Point, which took a $3 billion stake in Nestle in 2017, has said the company could double its earnings per share by 2022 if the group was bolder about divestments, including a stake in L'Oreal. Schneider declined to comment on L'Oreal on Thursday. Schneider said Nestle was on track to reach its 2020 targets of mid-single digit organic growth and a margin of 17.5-18.5 percent, with costs and margins improving steadily and a growth recovery backloaded toward 2020. Restructuring costs should reach 700 million Swiss francs this year. Organic sales grew 3.0 percent in the full year, but Schneider said the acceleration in the final quarter, helped by improvements across product categories in China and strong coffee and petcare in the U.S. market, was encouraging. Growth of 3.7 percent in the final quarter beat a 3.5 percent forecast in a Reuters poll. This also exceeded the 2.9 percent quarterly growth reported last month by rival Unilever, which expects 2019 growth at the bottom end of a 3-5 percent forecast range. 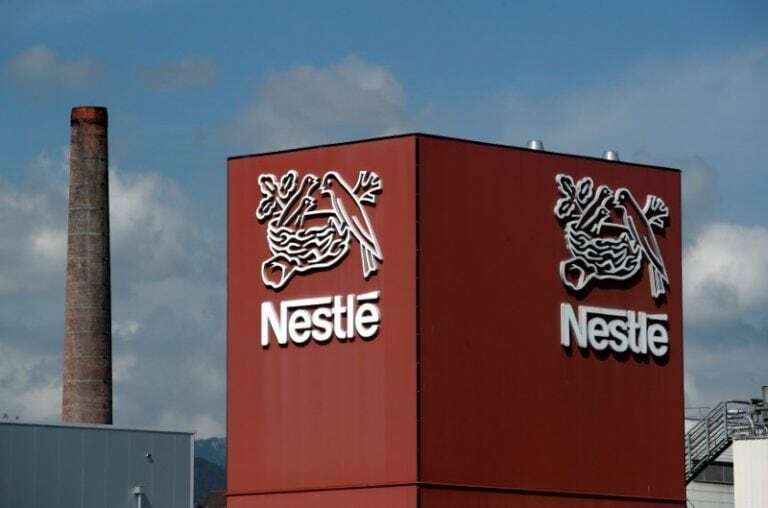 Nestle's net profit jumped 42 percent to 10.1 billion Swiss francs ($10.02 billion) thanks to the divestment of its U.S. confectionery business, while the margin improved to 17.0 percent. Long-term shareholder Christopher Rossbach of J. Stern & Co said he was confident Schneider’s strategic plan would lead to higher revenue growth and further margin expansion over the next few years. Analysts were also enthusiastic. "Efforts to reboot the company appear to be bearing fruit," said Kepler Cheuvreux's Jon Cox. Bernstein's Andrew Wood said the results were "solid, positive, balanced, so (much) more like the Nestle of old than in recent years". Nestle shares, up almost 10 percent so far this year, were up 3.2 percent at 1240 GMT, after rising to record highs earlier in the session. The Swiss company said it would look at options for its Herta cold cuts and meat-based products business, although it will hang on to the brand's dough and vegetarian business. "Herta no longer fits our strategy. We want to focus more on plant-based offerings," Schneider said. A review of Nestle's skin health business is also under way and expected to be completed by mid-2019, reflecting Nestle's efforts focus on coffee, petcare, infant nutrition, bottled water and consumer healthcare as its main growth categories. The group increased its dividend to 2.45 francs per share and said it would accelerate its 20 billion share buyback to finish the programme ahead of schedule by the end of 2019.